Glevan Consulting was formed in 1994 to provide high quality Dieback (Phytophthora cinnamomi) detection, diagnosis and mapping services. The company has provided these services across various vegetation community type from Dongara to Esperance in Western Australia, and Anglesea Victoria. 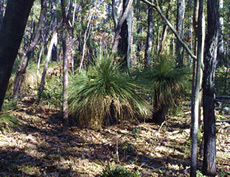 Australia contains unique and beautiful vegetation communities. Most of these communities (annual average rainfall > 400mm) are under threat from the disease caused by Phytophthora cinnamomi. This disease is responsible for the death of many plant species, causing the destruction of flora and fauna communities.